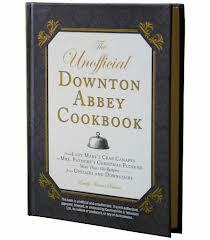 We here at Pink Champagne & Pearls are big fans of Downton Abbey and are eagerly anticipating season three. In honor of that we will present our “Countdown to Downton” series in the weeks leading up to the January 6th premier. 38 days until the premier! I’ve been pining away these past months, suffering from Downton Abbey withdrawals. Imagine my joy then to receive my Downton Abbey inspired cookbook and pretend I was living the life of a Crawley sister, complete with my own Carson and a full retinue of servants catering to all my needs. Well, okay, the cookbook didn’t come with all that. A girl can dream though. The book is cleverly divided into two sections, the first part being “Dining with the Crawleys” and the second being “Sustenance for the staff”. For the wealthy class at this time meals were an important part of their society and daily rituals. Meals were a work of art steeped in tradition. As you would imagine the recipes featured in the upstairs portion are decadent and fancy, the type of meals you would expect to be served by liveried servants with white gloves. The downstairs section by contrast is full of hearty and traditional English dishes. Meals that would give you energy for a full day of honest work. In either case the food is delicious and it’s entertaining to try out some new dishes, many of which are not the normal fare for the average American. Below is a sample of the recipes you’ll find within this cookbook. My experiences with the recipes thus far has been very positive. I made “Mr. Bate’s Chicken and Mushroom Pie” (a creamy gravy with chicken, mushrooms and peas under a flaky, buttery crust) and “Mixed Berry Scones” (super moist, fluffy scones bursting with strawberries, blueberries, raspberries and blackberries). I took the scones to work and they were a big hit with my coworkers. Due to the moisture in the berries the scones come out with more of a muffin consistency than the common dense consistency of the scones most of us are used to. My main complaint with this book though would be the absence of pictures. It’s a small thing but I do so love to look at those perfectly styled treats found in most cookbooks. All in all though I would definitely recommend to all fans of Downton Abbey whether they be pros or novices in the kitchen.